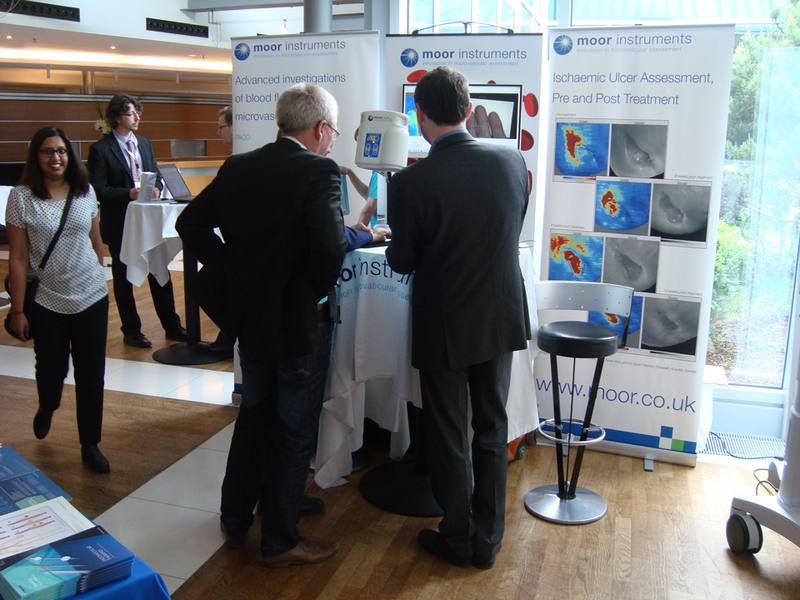 Moor Instruments supported the first annual meeting of the European Society for Vascular Medicine in Postdam, Germany, 10-12 May. It was a great opportunity to catch up with existing and new customers and to have the opportunity to discuss and share ideas. Really nice too, to meet Damir Danic from Medicap, suppliers of optical TcPO2 – looks like a much more convenient and potentially more accurate solution compared to the existing Clark electrode technique.